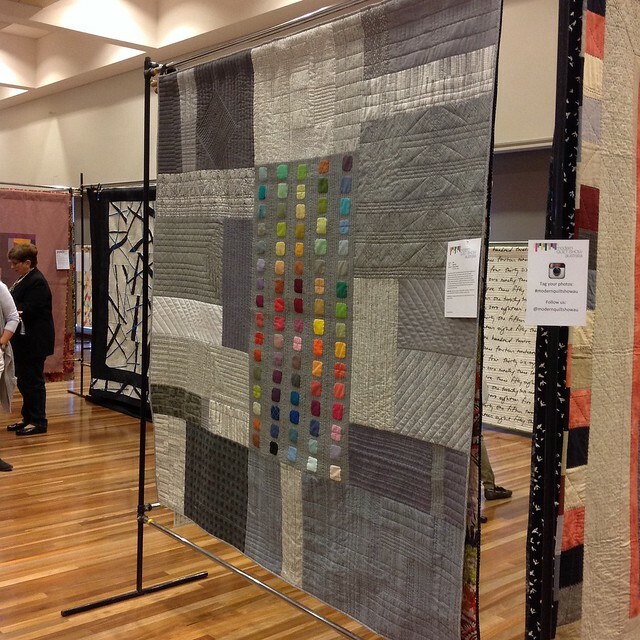 On the weekend of the 30th-31st May, Australia had its second Modern Quilt Show presented by the Wollongong Modern Quilt Guild. 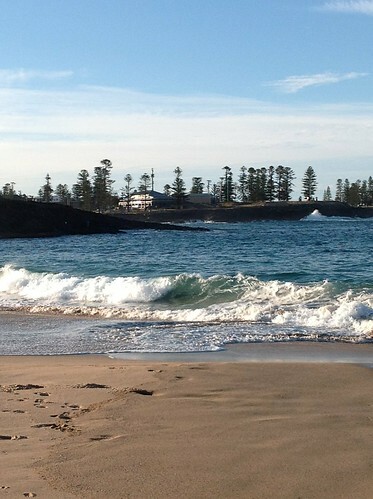 It was held just south of Wollongong in a little town called Kiama in a gorgeous pavilion overlooking the ocean! 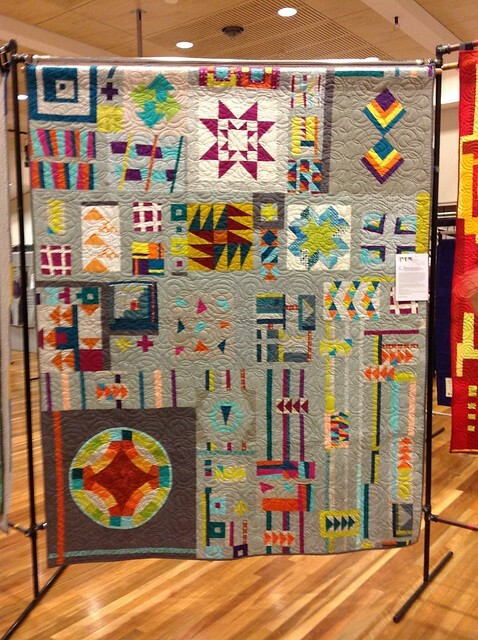 We had a number of guild members enter quilts into the show -and many were great talking points of the show! 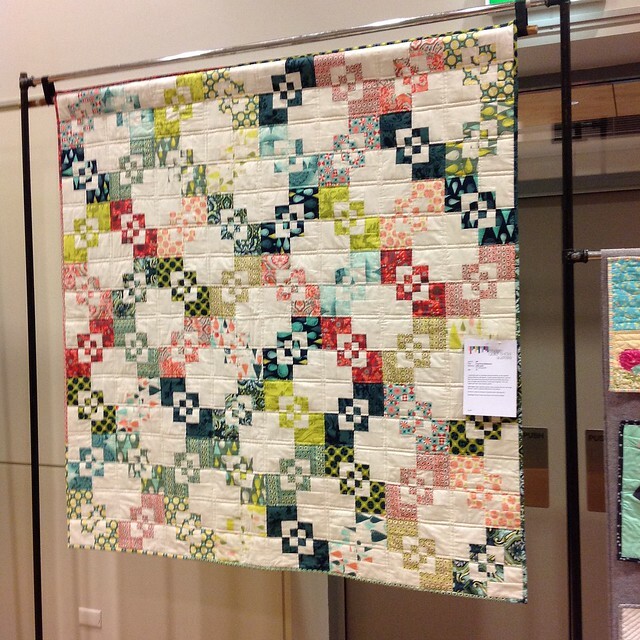 Firstly, our QuiltCon Charity Quilt was awarded 2nd prize in the Group category. and our junior member Sofia took out first prize in the Junior category with her “Frog Prince Reflections”. and Lorena received a Judges’ Commendation for her #ihavethisthingwithfloors quilt. Lorena also showed her “Squircles” Quilt which was started at QuiltCon earlier in the year in a Carolyn Friedlander class. An interesting talking piece of the show were two quilts done by our members. 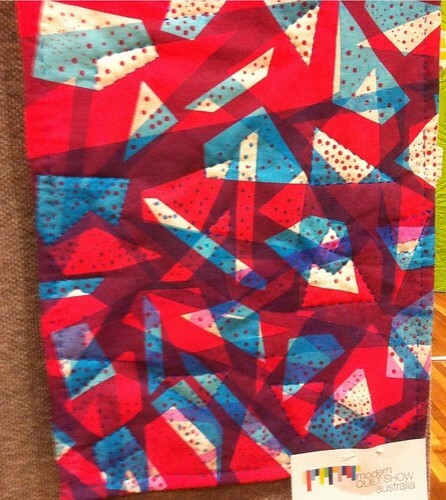 Kathy entered her monochromatic “Subdivision” quilt and Ginevra made a version of it using a limited colour palette. They were hung together so it was great to see how two quilts following the same pattern can look so different. 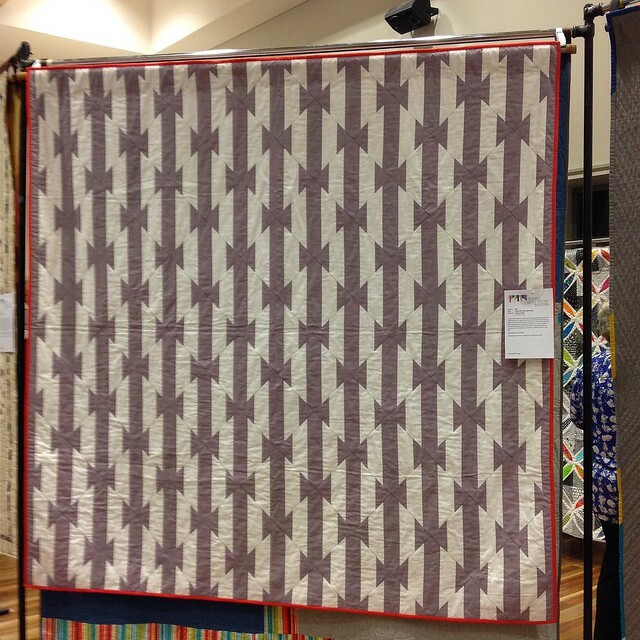 Ginevra also entered a gorgeous improv quilt with fabric she hand printed. It is called “Improv no.1 (for Melissa)”. It was a very inspiring show, and having some great stalls there helped feed the creativity! Our own members Kate from Kate Quilt’s and Sue from Fabric Garden both had stalls there. 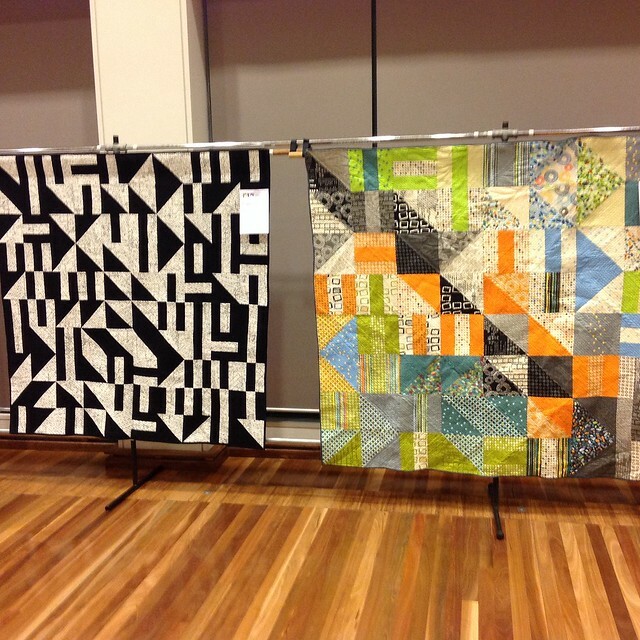 A big shout out to the Wollongong Modern Quilt for organising such a brilliant show – Well done and we can’t wait for next year!